在kisssunshine上面放google的广告可能是是三年前的事情? 还想着躺在家里睡觉数钱, 可惜美梦落空了. 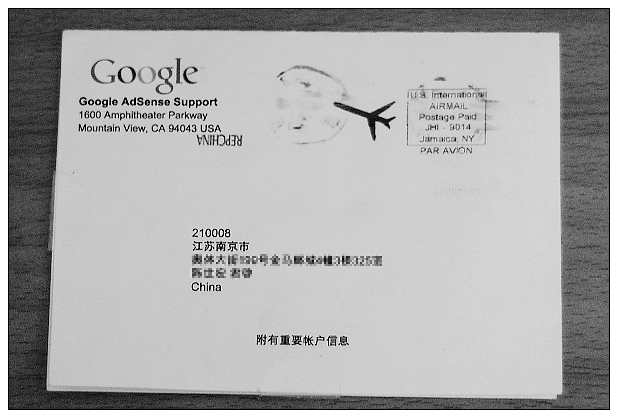 点击者寥寥无几, 两三年下来也只有40多$, 而且google还提高了支付的门槛, 要满100$才发饷. 嗯, 想问google拔毛还得个三两年以后. This entry was posted on Friday, July 4th, 2008 at 1:06 am	and is filed under 生活点滴. You can follow any responses to this entry through the RSS 2.0 feed. You can leave a response, or trackback from your own site.